Reliable, wireless portable projector for bright, clear presentations. 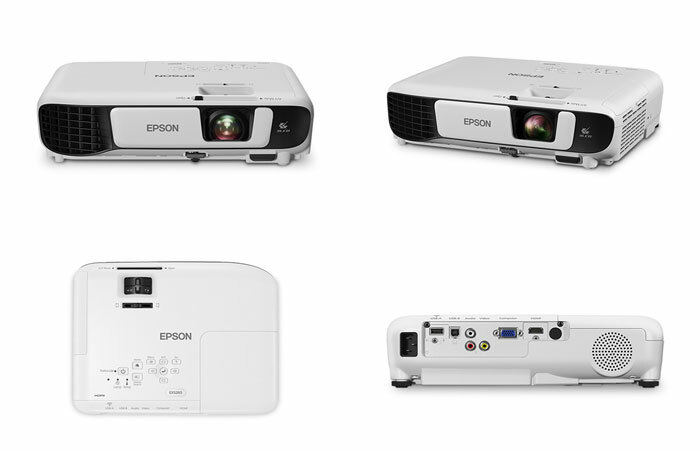 Get performance you can count on and easy setup with the EX5260 wireless portable projector. Boasting 3,600 lumens of colour/white brightness, it delivers bold, vibrant images, even in well-lit offices and conference rooms. Featuring XGA resolution (1024 x 768), 1.5x more than SVGA, the EX5260 is ideal for detailed, text-heavy presentations. In addition to HDMI®, it supports quick wireless connectivity for projecting from tablets and smartphones while moving about the room. Plus, Epson® 3LCD projectors deliver remarkable colour accuracy, with up to 3x Higher Colour Brightness and up to 3x Wider Colour Gamut over competitive DLP projectors.